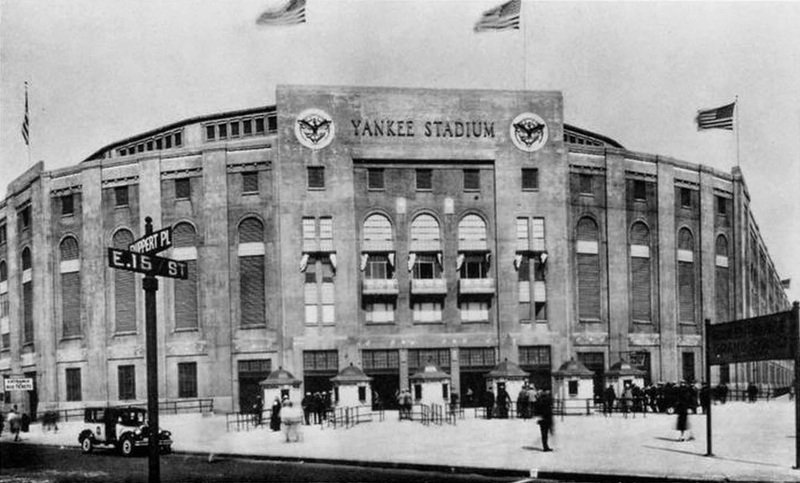 In 1913, the American League opened its season one day later than the National League. Opening Day was 10 April. Among other games it saw Philadelphia win its first game of the season. Although the Red Sox were defending World’s Champions, Connie Mack’s Athletics were the loaded team. The 1913 A’s boasted the “$100,000 Infield” of Stuffy McInnis at first, Jack Barry at short, and Hall of Famers Eddie Collins and Frank Baker at second and third. 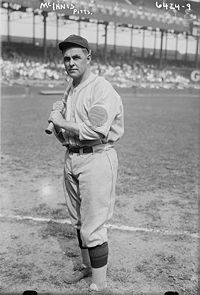 Of outfielders Rube Oldring, Amos Strunk, Eddie Murphy (obviously not the modern comedian), and Jimmy Walsh, only Oldring was older than 25 (he was 29) and only Walsh hit below .280. Jack Lapp and rookie Wally Schang shared catching duties with Schang being much the better hitter. Aging Danny Murphy was solid of the bench. It was a strong team that looked good for many years. They had won the 1910 and 1911 World Series and finished third in 1912. The fall back was primarily because of the pitching. Ace Eddie Plank was 37 and former ace Jack Coombs was ill from typhoid. There was nothing wrong with Chief Bender, however, and he managed 21 wins with a 2.21 ERA and 13 saves. The A’s would win the pennant by 6.5 over Washington and beat up on the Giants in the World Series, winning four games to one. The Senators would finish second primarily because they had Walter Johnson and no one else did. Johnson had a season for the ages. He went 36-6, had an ERA of 1.14, struck out 243 men, and ended with an ERA+ of 259. It got him the pitching triple crown and the AL’s Chalmers Award (an early form of the MVP). The Chalmers lasted four years (eight total awards) and Johnson is the only pitcher to win one. 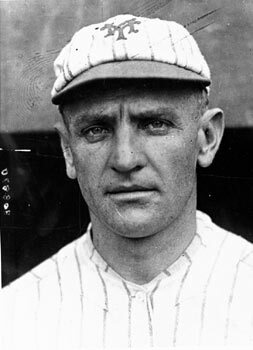 Washington’s top hitter was probably Chick Gandil, who became infamous in the 1919 Black Sox Scandal. Defending champ Boston would finish in fourth (Cleveland was third) 15.5 games back. Tris Speaker hit in the .360s but the pitching collapsed. Notably, Smoky Joe Wood went from 34 wins to 11. Ty Cobb won another batting title, hitting .390, while Baker won both the home run and RBI titles. Collins led the AL in runs, while Cleveland’s Joe Jackson had the most hits. 1913 saw a number of rookies who would make their mark. On 28 June Wally Pipp played his first game for the Tigers. He would anchor first base for the initial Yankees pennant winners before losing his position to Lou Gehrig. 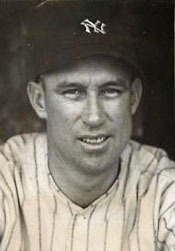 Hall of Fame outfielder Edd Roush made his debut on 20 August with Chicago. On 4 August Cleveland brought up Billy Southworth. He was an okay players, but made the Hall of Fame as a manager. Finally on 17 September Detroit brought Lefty Williams to the Major Leagues. He would eventually lose three games while helping the 1919 White Sox throw the World Series. As I’ve pointed out before, most of the Hall of Fame caliber players from the Deadball Era are largely forgotten today. Ty Cobb and Honus Wagner may be exceptions, but by and large it’s true. It’s even more true of the stars of the era who didn’t make it to Cooperstown. Here’s one. 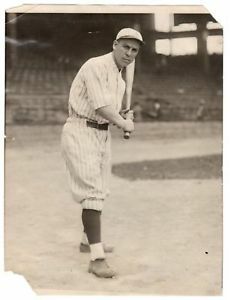 John (Stuffy) McInnis was a great fielding, good hitting first baseman for Connie Mack’s Philadelphia Athletics in the second decade of the 20th Century. Coming out of Gloucester, Massachusetts at age 19, he was the junior member of the A’s famous “$100,000” infield in both age and entry to the Major Leagues. For those curious, the rest of the infield is Eddie Collins at second, Jack Barry at short, and Frank Baker at third. McInnis arrived in Philadelphia as a shortstop in 1909. Mack had Barry at short, so McInnis had to find another position. By 1911 he was the primary first baseman, replacing aging Harry Davis. 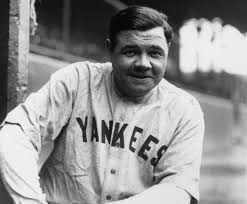 He stayed with Philadelphia through 1917, seeing the glory years of the 1910, 1911 and 1913 World Series triumphs, the heartbreak of the 1914 World Series flop, and the disastrous 1916 campaign. In 1918 he was traded to Boston for three players one of which was longtime Red Sox stalwart Larry Gardner. The Sox promptly won the World Series. In 1915 and 1916, the Red Sox won the World Series, then dropped back to second in 1917, thus a good team was already in place. So it’s not like they picked up McInnis and came out of nowhere to win. (Having that Babe Ruth guy helped a lot.) McInnis was a fielding upgrade over the previous first baseman, and had roughly the same numbers at the plate. Remember, this is the Deadball Era and first basemen are not yet primarily sluggers. In the Series, McInnis knocked in the only run in a 1-0 Red Sox game one victory, then scored the winning run in game three. In 1922 he went to Cleveland, beginning the nomad phase that went on for the rest of his career. In 1923 and 1924 he was with the Boston Braves (now of Atlanta). In 1925 and 1926 he played for Pittsburgh, helping the Pirates to a World Series victory in his first year there. He took over as manager for the Philadelphia Phillies in 1927, playing in one final game. They finished last and he was let go by the Phils. He managed in the minors and at colleges after his playing career ended, ultimately retiring from Harvard in 1954. He died in 1960. The first thing you notice about McInnis is his fielding numbers. 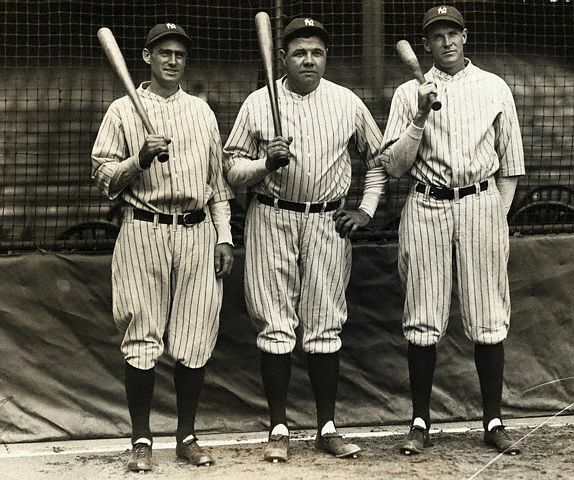 For any era they are impressive, for baseball’s Stone Age they are mind-boggling. 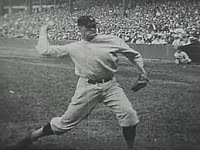 Between 1912 and 1924, the seasons he is generally his team’s regular first baseman, he finished first in fielding six times, second five times, and fourth the other two years, including his rookie year at first base in 1911. His fielding prowess is reflected in a range factor almost half a run higher than anyone else who played significant time at first (OK, I know you don’t figure range factor for first basemen, but did it on a lark and discovered McInnis.). In 1921 in 1651 total changes over 152 games he made one (count ’em) error, a record that stood until Steve Garvey rang up no errors in 160 games in 1984 (and Garvey only had 1319 chances that season).Thank of that if you will. On 1921 fields with 1921 equipment, over 1651 chances Stuffy McInnis got 1650 of them right (the error was a dropped throw). Only Wally Pipp at New York (1713 chances) and Earl Sheely at Chicago (1756 chances) handled more balls and Pipp had 16 errors (one every 107 chances) and Sheely had 22 (one every 80 chances). In the National League New York’s George Kelly had comparable chances (1667) and he committed 17 errors (one every 98 chances). Other McInnis seasons are comparable. McInnis is credited with inventing the “knee reach”, or what we know as the first baseman’s split, when catching the ball. Don’t know if it’s true, but if he did it makes him an even better fielder. I’ve played a little first base and know how difficult it is to reach for a ball that’s beginning to change direction on you. As a hitter McInnis was no slouch either. He hit .308 for his career, almost all singles. In today’s world of power hitting first basemen he would be in trouble, but in the context of his time he can be rated a solid, but not spectacular hitter. Of 2406 hits, 1973 (83%) were singles. His isolated power is 072. 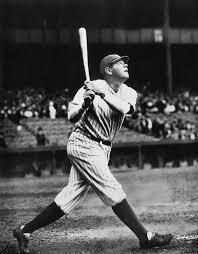 For his entire career he hit 20 home runs with a high of four in 1913. He didn’t have a great deal of speed, swiping a high of 27 bases in 1912. What he did do was put up a lot of runs. On four occasions he had 90 or more RBIs, and averaged 60 runs scored per year in his 14 full seasons. In a low scoring era that’s not bad, but not absolutely in the top echelon. What McInnis did best was win. Five times he went to the World Series. Four times his team won (1911, 1913, 1918, 1925). He was on one other team that won a Series (1910) but did not play. Twice he went to teams that won the World Series in his first year with them (the latter two championships). Again, he’s not the primary reason his new team wins, but he seems to have provided part of the spark that put the team over the top. It’s obvious I like McInnis. He’s a good solid player, who helps his team win. Is he an overlooked Hall of Famer? I might vote for him if I was on a veteran’s committee, but he wouldn’t be at the top of my list. Is he an overlooked star of his era? Yep.